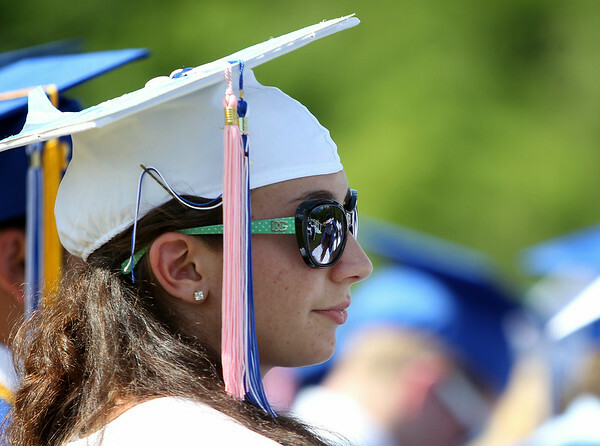 Danvers High School graduate Sarah Carey listens to speeches given by her classmates during graduation on Saturday afternoon. DAVID LE/Staff photo. 6/7/14.